The U.S. Postal Service should charge businesses more to mail packages, monetize its exclusive access to mailboxes, and explore ways to partner with private businesses, according to a report from a government panel appointed by President Donald Trump. The USPS has lost $69 billion since 2007, due to declining mail volumes and competition from the private sector. The USPS lost almost $4 billion in fiscal 2018, which ended Sept. 30, even as package deliveries rose. Trump appointed the panel to look for ways to rein in the losses. 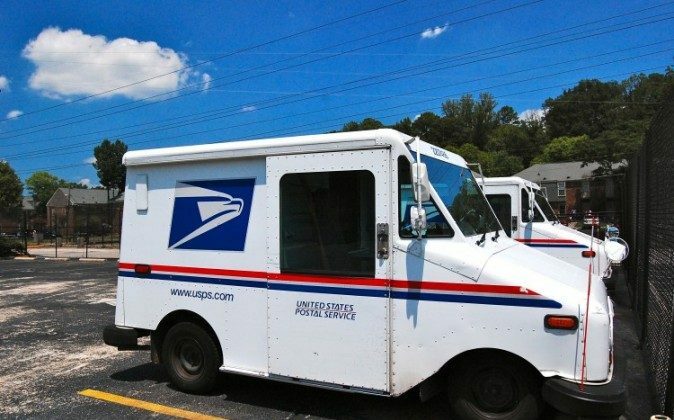 “The goal of these recommendations is to identify a path for the USPS to operate under a sustainable business model, providing necessary mail services to citizens and businesses, while competing fairly in commercial markets,” Steven Mnuchin, the secretary of the Treasury, said in a statement accompanying the report. The report recommends handing the postal service the ability to redefine the meaning of the so-called “universal service obligation,” which is a mission statement laying out the scope of the organization’s services. The report recommends separating commercial services as a non-essential category, which wouldn’t be subject to price caps, and mandated delivery standards that apply to essential services such as person-to-person mail. Such changes may result in higher prices on package deliveries for online retailers, including e-commerce giant Amazon.com Inc. Trump has criticized Amazon for using USPS as its “delivery boy” and contributing to the postal service’s losses. “None of our findings or recommendations relate to any one company,” a senior administration official said Dec. 4. The report recommends that the USPS explore ways to make money on its monopoly access to mailboxes. The postal service should also explore partnerships with private companies, including cohabiting with retail partners. The USPS delivered 140 billion pieces of mail in 2018, including six billion packages. Total mail volume has fallen 33 percent since 2007. An average household received 18 pieces of mail per week in 2017, compared to 25 items in 2008.